Does it Get Better for LGBT ️‍ Seniors? 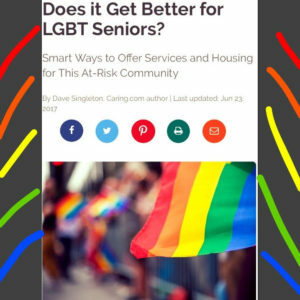 In this article, I explore LGBT senior services and housing options for this at-risk community. How can we make sure nobody takes a backward step into a senior living closet?